I've been dealing with a lot of MXF files recently, specifically the widespread (and irritating) 1080i XDCAM HD422 variety. To be specific, I want a 20 second piece out of the middle of a 4 minute MXF file created by an XDCAM camera. Is there a good solution to convert and trim piece of MXF to ProRes with 8 channels for post production? For those who are curious, XDCAM HD 422 is essentially Long GOP MPEG-2 using 4:2:2 chroma subsampling. The flavor I'm using is 1080i 60, at 50mbps CBR. It's pretty good quality, and usually comes with 8 audio channels of 24 bit, 48 KHz AES style PCM. A lot of free / open-source tools, including MKVMergeGUI, VirtualDub, QuickTime Pro, etc can perform trims when it comes to MPEG PS, MPEG TS, MKV, MOV, AVI, etc. But as to MXF, there is such issue being regarding trims and concatenations. Sure, you can dump MXF file on the timeline of FCP and trim what you want, but this usually involves a lengthy import process. And it takes long time to render MXF to ProRes MOV. 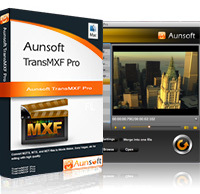 To solve this problem easily, Aunsoft TransMXF Pro for Mac, adapting advanced trim and crop technology, can trim MXF before transcoding with simple settings. As the only multichannel project solution, the program can also preserve and separate 2, 4, 8 or more audio tracks from source MXF footage. 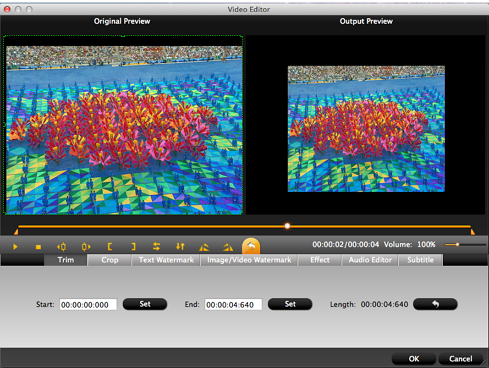 Without rendering time, The XDCAM MXF to FCP conversion is time-saving and easy-to-handle. Below is a simple tutorial to trim 20 second piece of MXF with 8 audio channels when transcoding XDCAM HD 422 to ProRes MOV. Click "add video" or "add folder" to load multiple audio channels MXF files. You can also directly drag files to the program. Click "edit selected task" icon in the main interface to trim your MXF file. First, you need set start time and End time to extract and trim 20 second piece of MXF you need. Then, In order to avoid of trim wrong MXF piece, you’d better to preview the trimmed MXF piece. 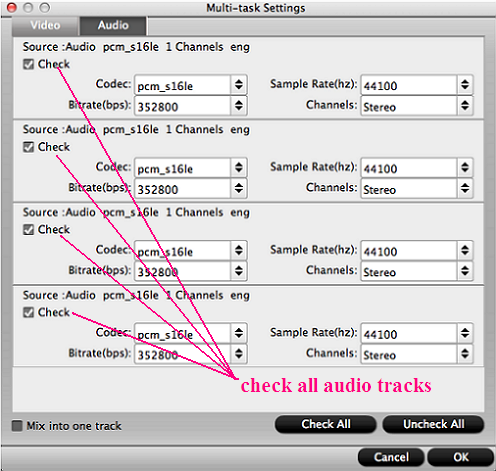 Click "settings" to preserve multiple audio tracks in original MXF. 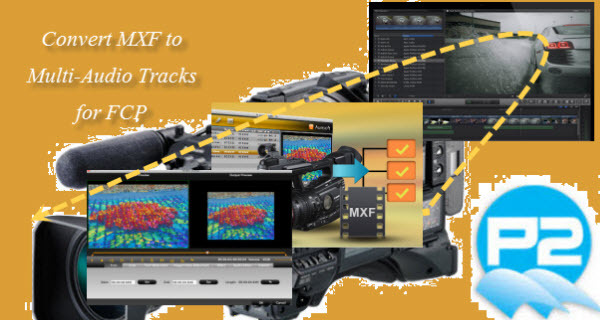 The screenshot shows 4 tracks of audio, if your source MXF with 8 tracks, you will get separate 8 channels from MXF here. If you don’t want to keep all audio tracks, you can uncheck undesired ones. And you also can mix multi-audio tracks into individual track. Click "Start Conversion" icon, TransMXF Pro for Mac will trim and convert MXF to multiple tracks MOV with high quality.